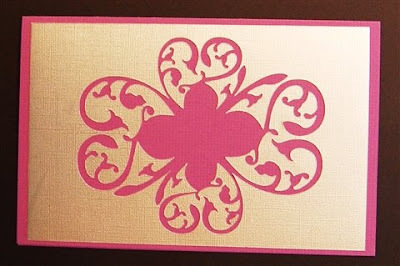 I had a request from a blog reader to alter the four wedding hearts design I posted in June (here is a LINK to that post) to better fit a slightly larger card (5 1/2 x 8 1/2). She wants to use it for a special wedding card. Even with the new update to the Design Studio Software I can't make this an "adjustable" design because the elements I used to create it must be rotated (at this time, it is not possible to change the rotation of an element within a selection box). So I enlarged two of the hearts and fit the four together again for a new card front. There are gaps between the hearts and I used some other shapes from the Wedding cart to fill them in so you only need the one cartridge to cut this design. Here is the card - with no embellishments added. 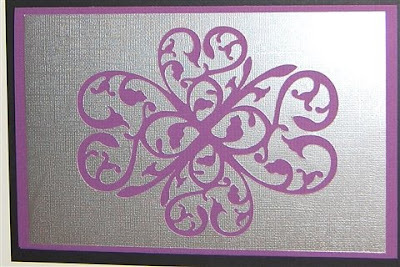 I cut the design from metallic silver cardstock. 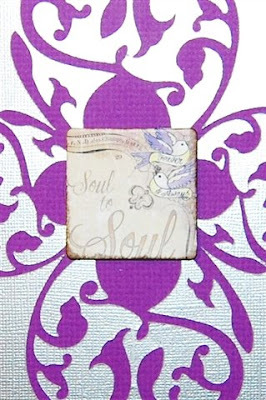 You could add some writing, a stamp or an embellishment in this space - here is a photo with a chipboard accent added (many thanks to another online friend for sending me a bundle of goodies including a set of these yesterday). 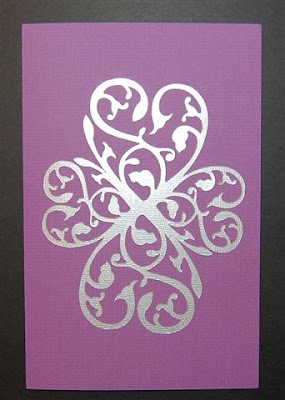 Keep this card simple or add more sparkle and embellishments - so many possibilities! I hope you enjoy making cards using this design - I'd love to see some of them when you are finished! You can always contact me at capadiadesigns@gmail.com. Very lovely! Thank you so much for sharing. What a beautiful design. You are SO talented! These are so beautiful! Thank you for sharing them. I will definitely email you a picture when I make a card. Thank you again for everything you do. This is lovely - thanks! 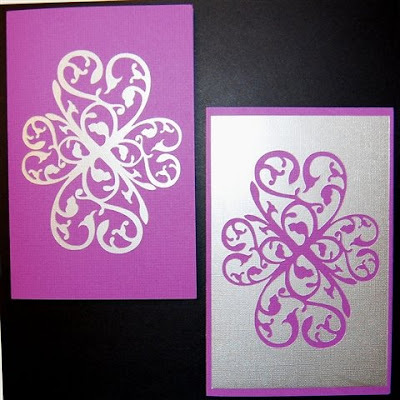 Beautiful Designs especially for wedding cards. Thank you so much for sharing your projects and your talent. That's so beautiful Diane. I've got weddings on my mind since my only granddaughter is getting married in July and in June we celebrate our 50th anniversary. Hope you are having the time of your life on your cruise. Sugar and Spice - in any size you want! Disney Princesses - a few more tips! Birthdays, Reunions, Awards , oh my!